Recently we had some relatively heavy snowfall in the Foothills of North Carolina that caused scattered power outages of which we experienced three. Folks who live in the mountains are often accustomed to this but I grew up in sunny California so I’ve had to learn about what to do since I moved here so I wanted to offer some tips that I’ve learned to help those folks who are inexperienced. The main areas effected by a power outage are light, heat, water, food, cooking, and communications. 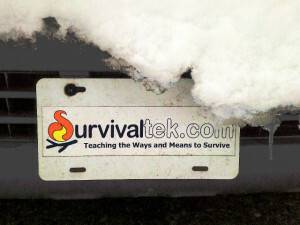 I have provided some links to the topics that I have written previously that give more detail on each subject. LIGHT – Most folks keep flashlights for various needs but it’s important to make sure that the batteries are fresh. Most smart phones have a flashlight app that works quite well. 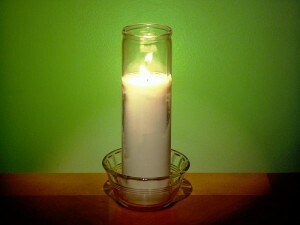 I buy prayer candles at a dollar store that provide long term light and a feeling of hope in darkness. You can make slush lamps using small cans with vegetable oil and a wick. HEAT – The first line of keeping warm is layered clothing and blankets. Conserving body heat is primary. 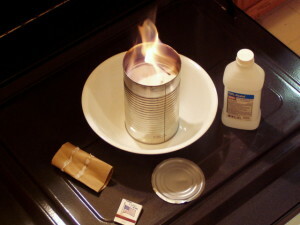 You can make a room heater by placing a roll of toilet paper in a tin can and pouring isopropl alcohol (denatured is better) into the roll and place it on an open oven door to isolate it and light it. A personal heater is quite effective when using a lit tea candle at the bottom of a tin can that is placed between your feet where you are seated and wear a poncho or wrap a blanket around your neck and cover your knees like a tent to capture the heat. WATER – In an urban setting city water will most likely be available vs. well pumps in rural areas that need electrical power to operate. It’s a good idea to keep bottled water on hand. A house’s plumbing system is actually a reservoir of water and can be accessed at the lowest valve and used sparingly. A water heater is also a reservoir that has a drain valve at it’s base. If you use this source, be sure to turn off your circuit breaker first to avoid burning out your heating elements for when the power is restored. If you have a creek or other natural water source it can be filtered or boiled. Snow can be melted. FOOD – Food that is stored in a refrigerator or freezer in the short term should have limited access to keep the cold in and heat out. If you have snow you can simply fill a plastic bin or cooler with snow and pack the food items in it. Cold water can also serve the same function. It’s best to keep food stuffs on hand in a pantry that are either canned or dry like beans or noodles. COOKING – A gas grill is an easy way to cook or boil water. Charcoal grills can be used in the same way. 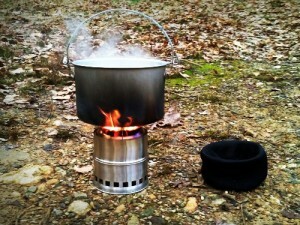 On a smaller scale a chimney charcoal starter can be used with a baking rack to cook on. There are various types of camp stoves from gas canisters to wood gasifiers. A rocket stove can be made from concrete blocks. Then there’s always a classic campfire using grills or pots. It is also possible to make and use an alcohol burner. COMMUNICATION POWER – Some land-line phone services carry their own independent power but cable service phones do not work when the power goes out. It seems that the majority of phones in use today are cell phones that can access transmission towers that are independently powered or outside of an outage area. However, cell phones run on a battery that eventually will need recharging. They are usually charged using a USB cable that can use various power sources. I recently used my laptop computer to charge our cell phones. A vehicle usually has either built-in USB ports or 12V adapters. A 12V to AC converter can charge laptops or other electronic devices. 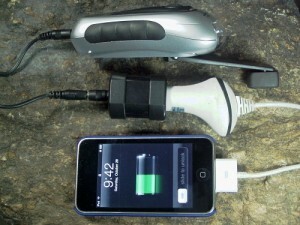 I have a hand crank charger that works on my phone. 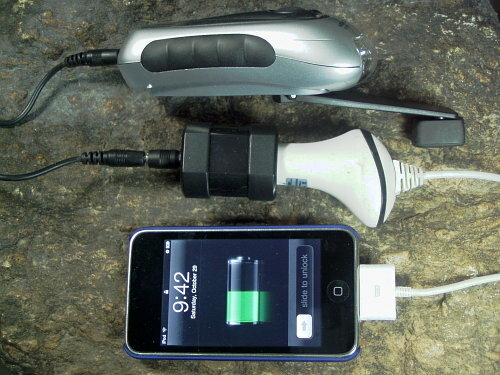 A 9V battery can be used in conjunction with a 12V USB adapter by placing the adapter’s tip on the positive terminal and using a paper clip to touch the battery’s negative terminal to the side terminal on the adapter. These are just some of the things that I have experienced during an occasional Winter power outage but for some folks this is an annual event. I would welcome comments on other tips that can be helpful during their Winter power outage. 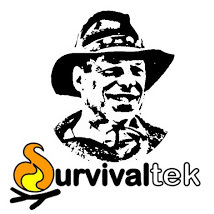 This entry was tagged Communications, Cooking, Emergency, Food, Heat, Light, Power Outage, Survival, Water, Winter. Bookmark the permalink. Bring in those solar light from the yard (before the snow covers them). Set them in a window sill during the day. That said, if you live in Maine or Canada you best better prep for winter heat than what is suggested here. A tea candle won’t cut it.